The way you close your presentation impacts what people will think, how they’ll feel, and what they’ll do afterward. Yet too many salespeople and speakers end their presentations on a weak note, undermining their effectiveness. A summary of your main points can be helpful near the end of your presentation, but it’s a lousy ending. You want to finish on a high note. A summary is simply data. It lacks energy, punch, emotion. At the end of their presentations, a lot of salespeople and speakers sound like Oliver Twist asking for more gruel. They say things like “I hope you’ll consider us…” or “I hope you’ll think about…” Such a plea conveys weakness and uncertainty, hurting your credibility. A different—but no more effective—kind of plea is the request to call you at some unspecified point in the future. Maybe. Presenters will close with “Call us when you’re ready to…” or “Call me if you have any questions…” Such presenters think they’re employing a call to action. But they’re not. Because the audience isn’t going to call. They never do. In the movie Forrest Gump, the titular character ends each of his stories by stating, “That’s all I have to say about that.” It’s a clumsy way to end, reinforcing the idea that the character is mentally—and thus, verbally—below average. 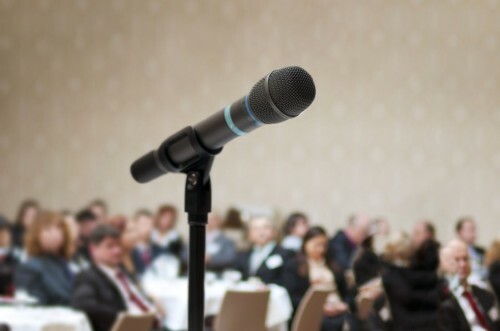 Many salespeople and speakers close their presentations in similarly abrupt fashion. They get to the end and simply say something like “Well that’s my time” or “Okay, that’s all I’ve got” or “Thank you for your time.” Again, you’re missing out on the opportunity to finish with a bang. This is undoubtedly the most common way people close presentations badly. Question and Answer sessions are both popular and important, but they don’t belong at the very end of a presentation. If there aren’t any questions, you’re left standing there awkwardly. And if there are questions, you can easily get bogged down in technical details, dragged into an argument with a know-it-all, or sidetracked onto a minor issue. You don’t want your audience’s last impression of you to be any of those things. By all means, ask for questions throughout your presentation, or schedule a Q&A session before you close, but don’t end on it. How often have you seen a presenter get cut off by someone in charge? It’s one of the most embarrassing things that can happen to a presenter. And it absolutely ruins your credibility and impact. Avoid this fate by planning for less time than you expect to have and rehearsing relentlessly. Know what you can cut if time runs short for reasons beyond your control. (Which happens all the time.) Pro Tip: Bring a small travel clock with you and place it in your line of sight in case there’s no clock in the room. You work hard to craft an informative, persuasive, entertaining presentation. Don’t sabotage it with a weak ending. Here’s my challenge to you: What could you do to end your presentation with maximum impact?